1992 Extra 300/S. 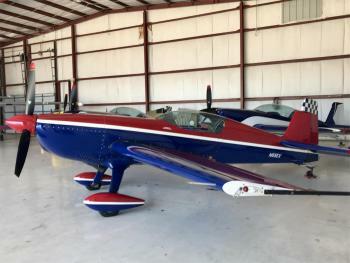 Unlimited Aerobatic performance. 940 hrs, Fresh Annual, Wide Core MT Prop, Large Tail feathers (modified at the Extra Factory). Becker Radio, Garmin 100 GPS, King Transponder, EDM fuel Computer, Lexan Baggage tray, Electric rudder pedals, SMOKE, BEST BANG FOR THE BUCK AVIALABLE in the USA! ......more. One Owner - Hangared Since New TTAF: 318.11 hrs. 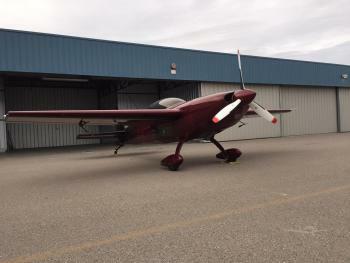 Don't miss the chance to own this aircraft. Click here for more details.. Spectacular performance, unbelievably responsive, stressed to 10X the force of gravity. 10 Gs positive and negative. 8 Gs with two onboard.The roll rate is more than 360 degrees/second. 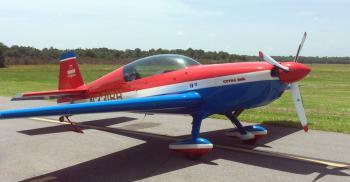 Two-seat mini-rocket ship with its Lycoming 300 HP aerobatic engine. Like-new paint and interior. Arguably the ultimate toy. Airframe: AFTT 1022.41 Engines: 283.71 hrs. SMOH Lycoming AEIO 540-L 1B5 Props: Pr......more. Fast, Beautiful and Pressurized and AirConditioned! Enjoy an excellent useful load after full fuel, and the excellent cabin space to use it with. Full De-ice, Windshield and heated propeller. Updated Garmin Avionics, with Dual WAAS 430s, Garmin Transponder. Flash annual and Recent Prop OH. Great records. Lets make a deal! Engine(s): Continental TSIOL-550C Liquid Cooled 350 Horsepower Prop......more. 2012 Extra 330LT, 225hrsTT NDH, Garmin 650, Gamin 330 Transponder, EDM Intercom DUAL Aspen EFIS, MVP 50 engine monitor, Leather. 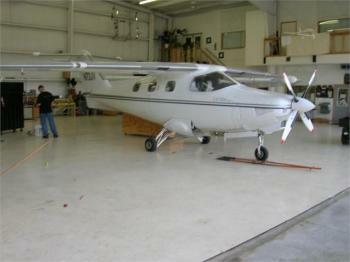 This aircraft is SUPER CLEAN.......LOW TIME Motivated seller! ......more. 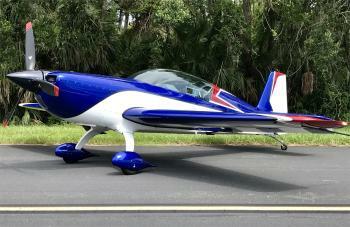 2017 Extra 330LT, 80hrsTT NDH, Garmin 750, Garmin 345r Transponder, ADSB Compliant, Aspen PFD/MFD, MVP-50 engine Computer System, Tru-Trac Autopilot, Heater, CUSTOM Leather, G5 Garmin in front seat, BERRINGER Brakes, SMOKE, Custom Paint, This was a 500K aircraft 80 hours ago! Come see at Oshkosh IAC. X-tra Gear INCLUDED !! ......more. 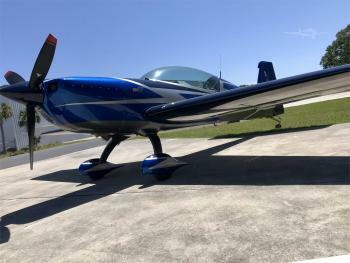 2019 Extra 330LX. 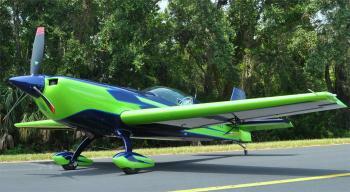 BADDEST 2 seater aerobatic aircraft in the world !! Unlimited performance !! Build to suit. 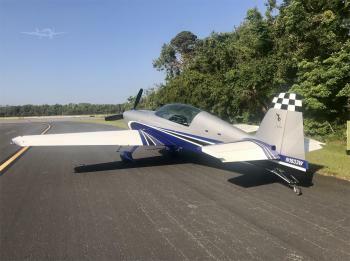 Call Doug Vayda 904-568-9410 Southeast Aero Sales Inc. or 2019 spec sheet. Ordering for Spring 2019 delivery. PICs are "FILE PHOTOS"......more. Want to fly X-country then pull 10g's + or 10- G's while rocking and rollin? Spring delivery!!!! 2019 Extra 330LT, ( NEW), Garmin G3X 10' touch screen, Garmin Autopilot, Garmin 650w or 750W, Garmin 345R Transponder, ADSB compliant, EI Engine Instrumentation, Garmin sub panel, Custom Paint( to your choice), Custom Leather interior• 204 knts True Airspeed !!!!! Free traning !! We LOVE to build th......more.